Following hot on the heels of the BAFTA and Academy Award-nominated movie Darkest Hour, The Salariya Book Company’s Book House imprint is publishing a new biography of Winston Churchill next month as part of its acclaimed and bestselling Very Peculiar History series. 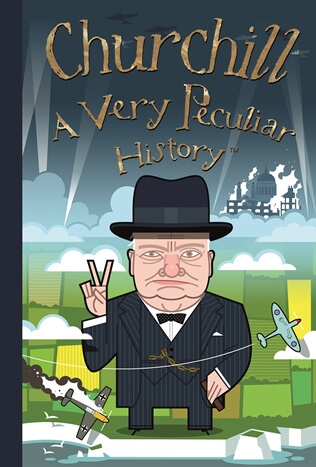 Churchill, A Very Peculiar History is written by David Arscott, former newspaper journalist and BBC presenter, founder of the Sussex Book Club and author of books for children and adults. The fast-paced chronological guide delves into the many ups and downs of Churchill’s life and career, revealing the man behind the myth. It explores Churchill’s unconventional and occasionally scandalous family, his friendships, his obsessions, his artistic and literary accomplishments and his political achievements. Readers can marvel at his derring-do and precocious abilities as a young journalist in the Boer War, wince at his blunders as Home Secretary in the Liberal government, laugh along with his talent for self-promotion and admire his steely resolve as Prime Minister during the Second World War. 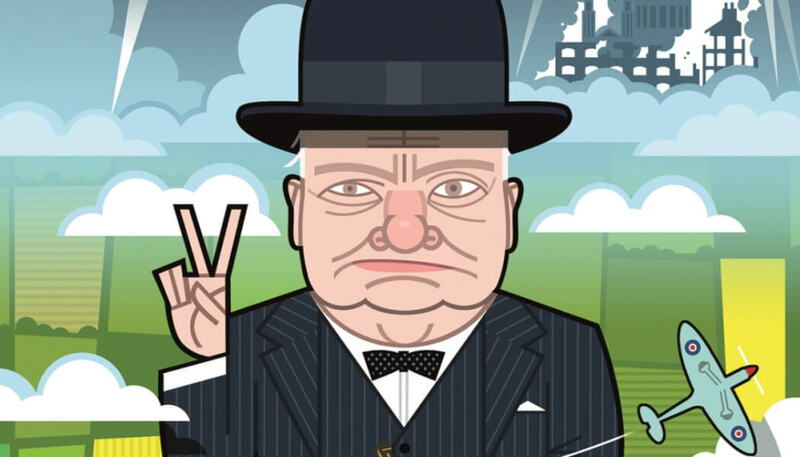 The edition features a cover illustration by David Lyttleton, the artist behind The Times’ Kings and Queens of England wall chart and Royal Map of Britain poster, a beautiful gatefold illustration of Churchill’s beloved home Chartwell and its grounds, witty anecdotes, incredible trivia, a timeline and glossary. Readers of all ages will be entertained and educated. The Thames, A Very Peculiar History is also being published in March, again written by David Arscott with a cover by David Lyttleton. Like its sister title, it’s an accessible account for readers aged 8 to 80 that can be dipped in and out of or devoured from cover to cover. It also features a gatefold cutaway illustration – of Tower Bridge – plus chapters on how the river has interacted with industry, crime, literature and architecture over the course of many centuries. Very Peculiar History is a series designed to look and feel like fine editions from a much-loved library. A curiositorium of quirky, odd and interesting information from the peculiar past. 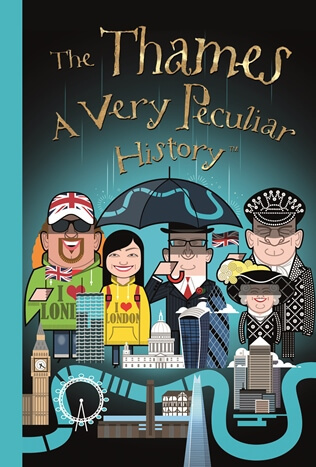 It extends to more than 50 titles by our bestselling team of historians – covering subjects as diverse as cities, historical figures, whisky and gardening – for readers aged 8 to 80. Churchill and The Thames will both be available in hardback editions, 192 pages each, priced £7.99.